Are you a professional wildlife photographer? Oceanwide Images is looking for stunning images from professional wildlife photographers to add to our collection. There are no fees to join our family of contributing photographers and you will receive a 50% commission on every license sold. Unfortunately, we are not able to accept photos from amateur photographers, and as much as we would like to help amateur photographers make the leap to professional photography, we are simply not large enough to provide this kind of apprenticeship. Oceanwide Images is run by people with a passion for photography and we also have extensive experience in the publishing industry. We understand the costs involved in being a professional photographer and represent the interests of top photographers like John Ashley, Gary Bell, Bill Boyle, Mark Carwardine, Suzi Eszterhas, Chris and Monique Fallows, David Fleetham, Justin Gilligan, Bob Halstead, Coral Scientist - Peter Harrison, Chantal Henderson, Jim Johnson, Fish Expert, Publisher and Ichythologist, Rudie Kuiter, Michael Patrick O'Neill, Andy Murch, Mark Simmons, Lin Sutherland, Karen Willshaw and Inger Vandyke. If you are accepted into our family of contributing photographers, you join an elite group of distinguished wildlife photographers and our photographer’s agreement is also straightforward and easy to understand. Photographers continue to own the copyright to their images - The agreement simply authorizes us to license your image for commercial and marketing purposes. You continue to have the freedom to publish and distribute your own material but must notify us of any exclusive usage, in order for us to avoid any conflict of interest. This is an important condition of all image submissions and is clearly outlined in the agreement that you need to sign and return to us. Exclusivity is not required - Unlike most Photo Agencies, we do not require Exclusivity of your images. You are free to form agreements with other Image Agencies but you must notify us if your images are licensed by other Agencies . This helps us to prevent any conflict of interest with image licensing. We also require the name(s) of the Image Agencies that license your images. Copyright Protection - We do not send out contributed images to other Image Agencies for 3rd party marketing. This is to ensure that your image copyright is secure and you have control of your images. High Rate of Commission - We pay photographers a 50% commission on revenue collected from clients. Commission is paid quarterly. Free Listing and Support - We do not charge you a fee to list your images on our website or for any work that is required to license your images. We liaise with clients, prepare images, scan transparencies and upload images as part of our service to you. However, we do require that photographers submit images in a manner outlined below. What types of photos are we looking for? Stunning images of marine mammals, reptiles and sea birds. Stunning images that illustrate animal behaviour, parenting and predation. Stunning images of rare and endangered marine animals. Stunning images of deep-sea fish and other deep-sea creatures. Stunning portraits of marine animals. Stunning images that illustrate environmental issues associated with our seas, natural disasters and marine pollution. Stunning images that illustrate human impact on our oceans, marine habitats and the animals living within. Stunning images of traditional and commercial fishing. Stunning images of Australian marsupials, birds, reptiles, insects and introduced pest species. Stunning images of rare and endangered Australian animals and plants. Stunning images that illustrate environmental issues associated with the land, natural disasters and pollution. 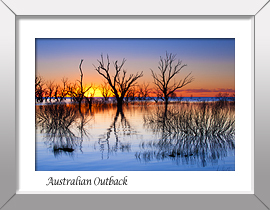 Stunning images that illustrate human impact on the Australian landscape, habitats and the animals living within. Stunning images of animals from Australia ’s freshwater river systems and waterways. How do I apply to list my photos with Oceanwide Images? Before you send any images to us, please note that you must be a professional photographer with a minimum of 5 years commercial experience. Photographers should only submit technically correct, high impact images and bear in mind that we are extremely critical with our image selection in order to compete in this increasingly competitive market. Your full name, residential address, phone number, email address and personal website address (if you have one). Your ABN number (Australian Business Number). 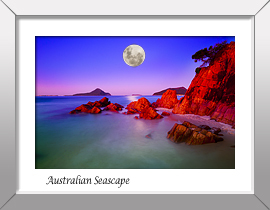 Photographers outside of Australia do not require an ABN. 20 digital images of your very best work for our review. We require these images to be medium quality jpeg images at 600 pixels x 400 pixels (low resolution). We only keep successful applications on file. If you are posting your application, and you want your application returned, please include a stamped, self-addressed envelope with your application. Oceanwide Images will carefully review your application and if we consider you as a candidate for our family of photographers, we will contact you and request that you send your images to us in high resolution. If your application is successful, we will contact you and discuss in more detail; our services, the agreement and answer any questions that you may have. We will then send you a photographer’s agreement, which you will need to sign and return to us. Please allow a few weeks for us to review your application. If you have been accepted by Oceanwide Images as a contributing photographer, we are delighted to be working with you and provide the following information to ensure that you clearly understand the procedure for submitting photographs and of your obligations to us, as your agent. Please read below for instructions on how to submit transparencies and digital images. We prefer our professional staff to scan and adjust image transparencies. All accepted transparencies will be scanned in our high-end drum scanner to obtain optimum high resolution digital files, which will be stored in our file and listed in the Oceanwide Images website database for marketing. Once scanning has been completed the transparencies will be returned immediately to the photographer for safekeeping. Photographers with transparencies larger than 35mm format should first contact us by email with their enquiry. Images must be technically correct, high impact images and visually stunning. Sent by registered mail or courier. We cannot be held responsible for transparencies that are lost in transit. Each image sent for inclusion into our database must include a caption that details the common name of the subject, scientific name, location where the image was taken, name of the country, name of the ocean, and Please also tell us if your subject is vulnerable or endangered. If your image was taken on private or protected property, or has a model in the picture, then you are required to arrange a Property Release or Model Release. We also require the name(s) of the any other Image Agencies that list the images you submit to us and any history regarding Exclusivity to these images listed with the Agencies. 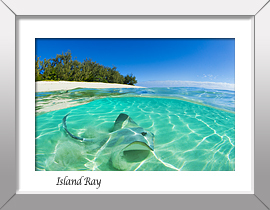 Oceanwide Images only license Rights Managed images and we do not license Royalty Free images. 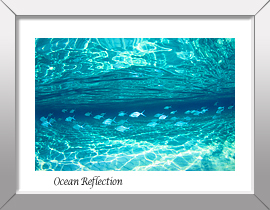 If your images have been or are licensed as Royalty Free images, you must not submit these images to Oceanwide Images. Please see Rights Managed Licensing. Sent to us on DVD or CD in Raw form. If you feel for whatever reason that you must adjust your digital file images, please save your images as Tiff files and do a minimum of adjustments. Do not interpolate the Tiff files. Do not apply un-sharp mask (sharpening) to the Tiff files. Do not crop (reduce) the Tiff files. We prefer our professional staff do all of the sizing and adjustments to the digital files. Each image sent for inclusion into our database must include a caption that details the common name of the subject, scientific name, location where the image was taken, name of the country, name of the ocean, and any description of the image that would assist us in marketing the image. Please also tell us if your subject is vulnerable or endangered. We do not return digital files sent on DVD or CD, so please keep a copy of your original files.